Helena is only nine years old when she is uprooted from her little village and sent to a school for the blind in Helsinki. Gradually she learns the smells, sounds and footstep counts of the big city. Forty years later, Helena’s nephew Tuomas voluntarily makes the same move. A university student, Tuomas wants to meet demands and expectations, but he secretly dreams of having a family of his own. During his southern sojourn, Tuomas comes to know his aunt in a wholly new way. What is it like to live your whole life as a bystander, to hope that one day people would focus less on the differences that separate you and more on the commonalities you share? What is it like to embark a long journey in order to become the person you want to be, or perhaps already were? Tommi Kinnunen writes compellingly about otherness and finding your own path, the desire to become a father and the skill of being a mother. 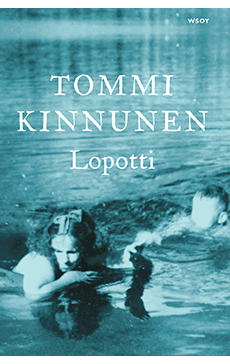 Tommi Kinnunen’s debut novel Where Four Roads Meet (2014) was a stunning critical and sales success, with translation rights sold to 14 countries during its first year. His second novel, The Light Behind the Eyes, continues the themes of his debut novel with a sure, graceful hand – it is a big novel about tolerance, caring, our individual loneliness and this world that we nevertheless share. The Light Behind the Eyes has sold 50 000 units to date in Finland alone.